Pure & Secure, LLC — maker of the Pure Water® and AquaNui™ by Pure Water brands — is the world’s leading manufacturer of premium water distillers for families and businesses. Pure & Secure is a family-owned business based in Lincoln, Nebraska. 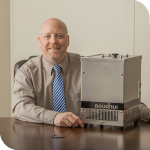 We were the first company in the U.S. to manufacture and market water distillation systems for the home and workplace. We’ve never wavered in our commitment to making the best systems. While most water filter and distiller companies have outsourced their production to places such as China and India, we’ve decided to keep our manufacturing in the USA. We employ the finest craftsmen. They love what they do. And they’ve thoroughly mastered the art of making a premium water distiller. You can be sure that we manufacture our products to exacting standards. Water contamination is a reality in our world today. We strongly believe in the importance of providing people with pure, distilled water. We believe, and many experts support our point of view, that distilled water can improve your health and well-being. Our mission is to educate the world about the benefits of drinking distilled water. Please call our office to learn more. Sign up to receive our correspondence. We believe that the only way to business is to be honest and straightforward. We also believe that we produce products that have tremendous value. They’re just built supremely well. While less expensive products are available in our market, we believe that the Pure Water and AquaNui brand products are fairly priced. We feel confident that anyone who researches premium water distillers will come to us and will understand that quality products are worth the best available in the market. 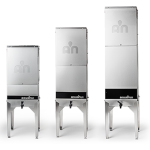 AquaNui premium water distillers combine design, performance and price. Stainless steel is the ideal material for a distiller and makes AquaNui durable. Best of all, they’re modular and space-saving. They’re designed to fit your needs. Pick a storage tank size. Prices vary. 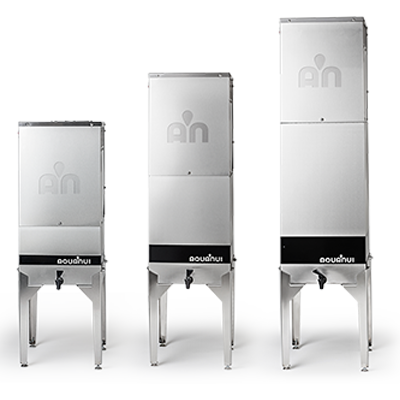 Complete installation kits come with every AquaNui. They’re easy to install.